Radians Snug Plug Reusable Ear Plugs in Poly Bags (NRR 28)1JACK SHRADERNovember 29, 2015Worthless. They were too small to block ANY noise. Radians Snug Plug Reusable Ear Plugs in Poly Bags (NRR 28)4AimeeFebruary 11, 2015I like these because they are soft. They take a minute to figure out but I like that they fit as comfortably as the foam I'd been using. My only complaint is that there isn't a rope to keep them together so I have to be careful when I take them out to make sure they stay together. I would buy these again. Radians Snug Plug Reusable Ear Plugs in Poly Bags (NRR 28)1Philip MartinAugust 27, 2014This earplug is useless. It's so soft and squishy it cannot be forced into ear canal, thus not seal. Radians Snug Plug Reusable Ear Plugs in Poly Bags (NRR 28)5Mike FairFebruary 18, 2012These are a soft gel, kind of like gummy bears. They are easy to put in, which surprised me. They seal great, work very well, and are comfortable. They are fairly slim, and may not work for larger ear canals. I tried 3 different types of ear plugs, and I like these the best. Radians Snug Plug Reusable Ear Plugs in Poly Bags (NRR 28)5ArtDecember 17, 2011Ear plugs work very well. Easy to insert and very comfortable. Like the fact that they are reuseable. Radians Snug Plug Reusable Ear Plugs in Poly Bags (NRR 28)5Bill Donovan MDNovember 22, 2011These are clearly smaller than most, so they work for one of my canals which is smaller than the other. 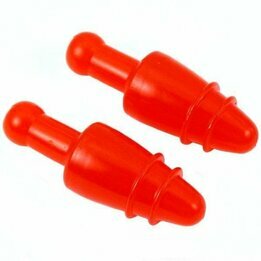 Radians Snug Plug Reusable Ear Plugs in Poly Bags (NRR 28)5Jim PileggiFebruary 10, 2011I use these for all my pistol shooting. They are the best I can find for that.